Consider this scenario: The owners of a family business that is run through a company are set to retire. The business is packaged up for sale and sold. The sale proceeds are paid to the owners giving rise to large shareholder loan accounts and the company lies dormant. The shareholders wish to end the company’s life as it no longer has a useful purpose. Would you de-register the company, or wind it up by way of a members voluntary liquidation? At this point, there are some very important questions to be asked as the option chosen can have significant financial implications. First of all, the process of deregistration is relatively simple, quick and inexpensive and is instigated by the lodgment of ASIC Form 6010 after certain pre-requisites have been met by the directors. One of those pre-requisites is that the company must have less than $1,000 in assets, which means that most of the company’s assets must be distributed to shareholders before deregistration can occur. The normal method of distribution is by dividend which is generally taxable in the hands of the shareholder pursuant to section 44 of the Income Tax Assessment Act 1936. However, where a company has certain exempt profits, such as capital gains on pre CGT assets, the dividend remains taxable in the hands of the shareholder when received. Clearly this is not a desirable outcome for the shareholders. Whilst a member’s voluntary liquidation involves more steps than deregistration, the process is managed by a liquidator and the tax benefits of section 47 of ITAA 1936 can be accessed. Broadly, this section allows for certain reserves to be distributed to shareholders as capital instead of dividends for tax purposes. This will typically include pre CGT profits or tax free profits as a result of the small business CGT concessions. These concessions are only available to shareholders where the distributions have been made by a liquidator in the course of winding up a company. While this example has been simplified and there may be other factors that impact the outcome for shareholders, in general each shareholder will save $77,935 in personal income tax by winding up the company through a members voluntary liquidation rather than deregistration. There are many legal and tax implications for winding up a solvent company. At BCR Advisory, we welcome your enquiry to discuss the specific circumstances relating to your client. To arrange a no cost and obligation-free consultation with one of our directors, please contact us. 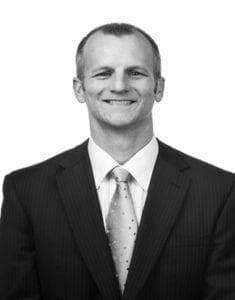 Stephen James is the director of our Adelaide office. Stephen has over 17 years of corporate reconstruction and insolvency experience. He is involved in a wide range of insolvency trading engagements and complex insolvency litigation cases that have been successfully resolved. Stephen specialise in insolvency issues affecting the SME market. You can connect with Stephen via LinkedIn as Stephen James, BCR Advisory (SA).